I received my October Golden Tote this week. 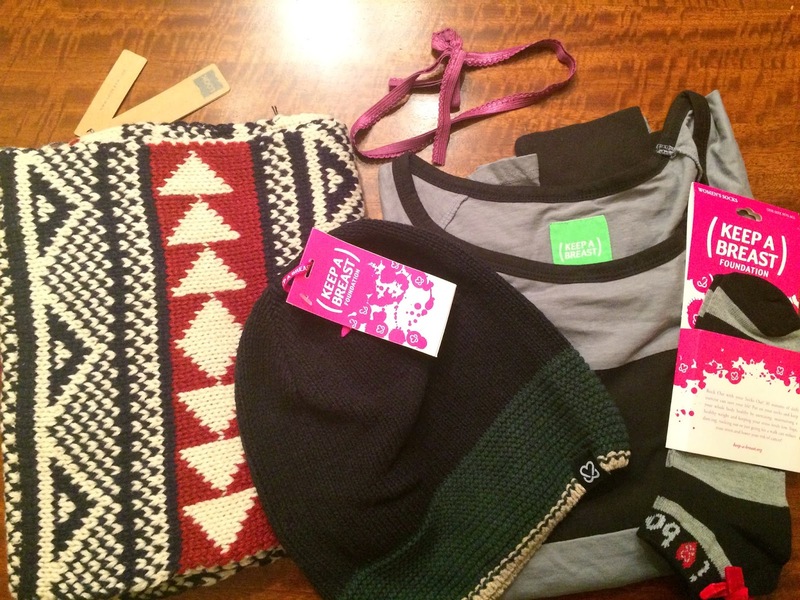 I also ordered a couple items from the boutique and from the Facebook Golden Tote Trading Group. 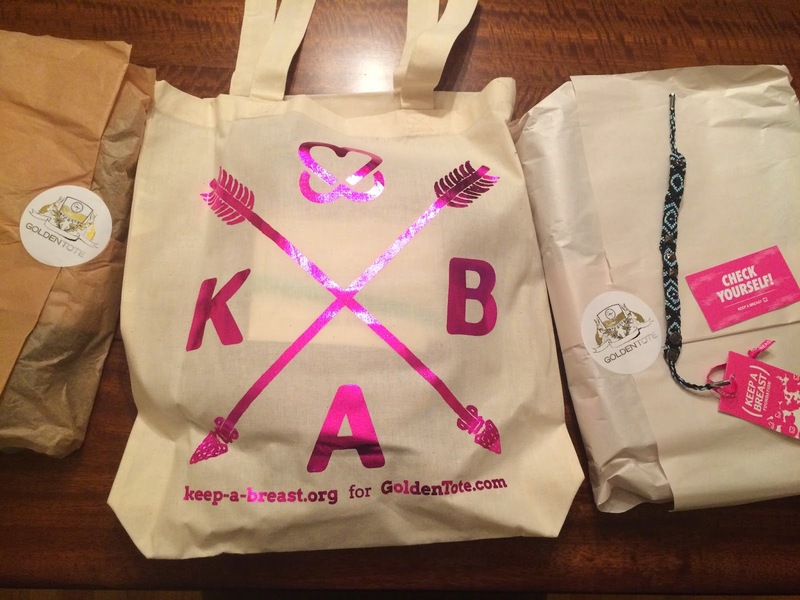 For October Golden Tote teamed up with the Keep a Breast (KAB) Foundation for Breast Cancer awareness month. They changed their tote bag this month to fit the theme and the first 1000 orders received a pink KAB tote bag. 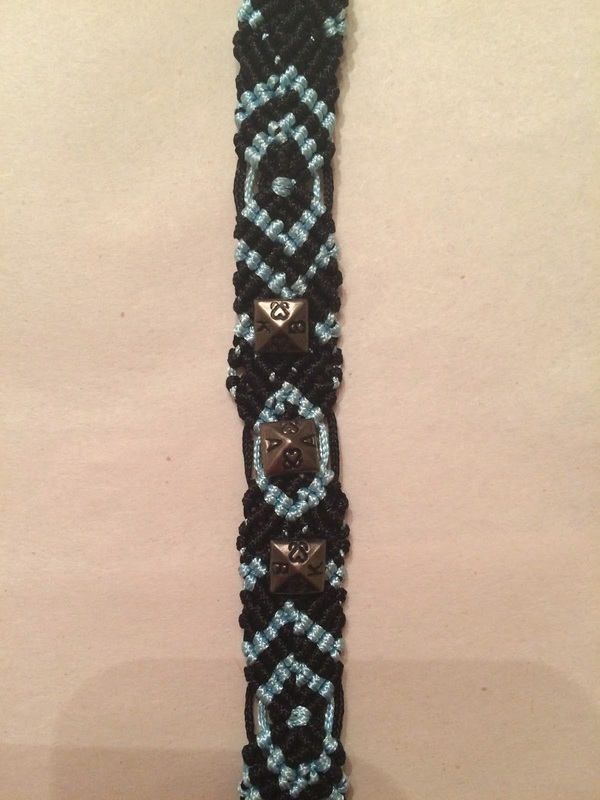 Also, all orders during the month of October received a KAB bracelet (there were many different variations of the bracelet). 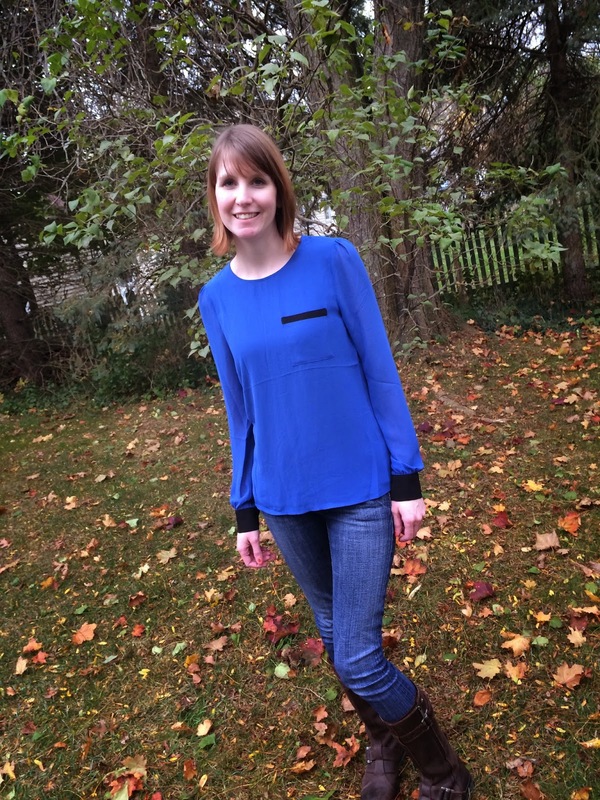 Here is my order, including my boutique orders. Love the pink KAB tote bag this month! Here is a close-up of the KAB bracelet I received. It has two snaps to choose the size that works for you. I'm so happy you don't have to just tie it and leave it on forever! And I love the light blue and black color combo I received. Here is the items I received in my boutique orders. 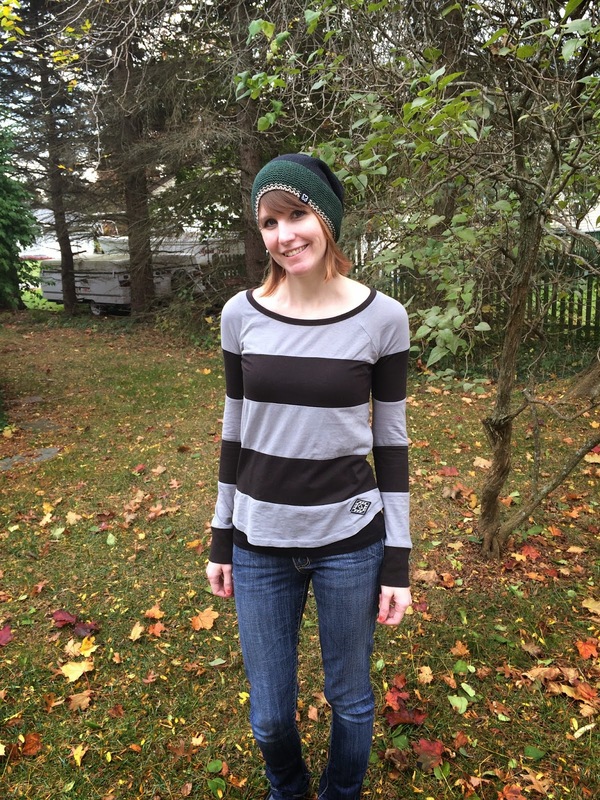 I couldn't resist the KAB bundle, which included a long sleeve shirt, hat, and socks. I also fell in love with the nordic infinity scarf! This sold out before I was able to order it, but luckily they were able to restock and I was able to snag one. Now for my $49 tote. You are able to choose one item and Golden Tote surprises you with 1-2 additional items. It's normally just one additional item, but once in awhile Golden Tote will surprise you with a third item that is a scarf or cami or bralette. 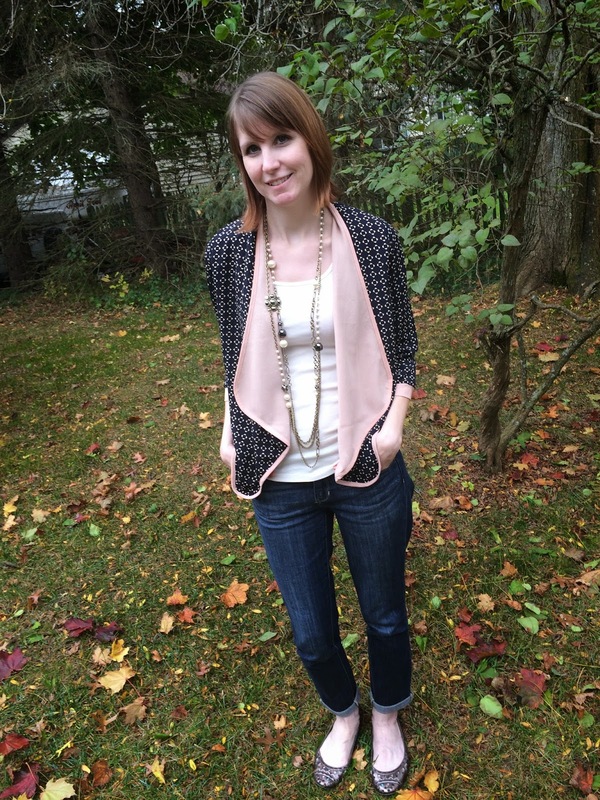 I chose the Le Lis Peek a Boo cardigan in navy as my chosen item for the tote. I thought this cardigan would be great for work and I really like the shape and fit of it. I styled it casually with jeans here, but also think it'd look great with skirts or dresses. The back is shorter and blousy and I love it! The surprise item I received in my $49 tote was the Cut + Sew cardigan. I was very disappointed that I chose a cardigan and also received a cardigan as my only surprise item. Luckily I wear cardigans often, but I'm not too sure about the print on this one. I want to love it, because it's very comfy, but I'm unsure of it. I need to play around with styling it more. I saw a girl style it similar to the way I did in this picture, but I'm not sure my skirt is right for it. I think it needed to be slightly shorter and would have looked better in a brighter color. I do like the idea of belting it, so it appears like a peplum though. If anyone else has any style suggestions for this cardigan, please let me know. Here is a picture of me wearing my boutique order of the KAB bundle shirt and hat. It is a very comfy, lounge around outfit! And I'm happy that the profits go to the Keep a Breast foundation! 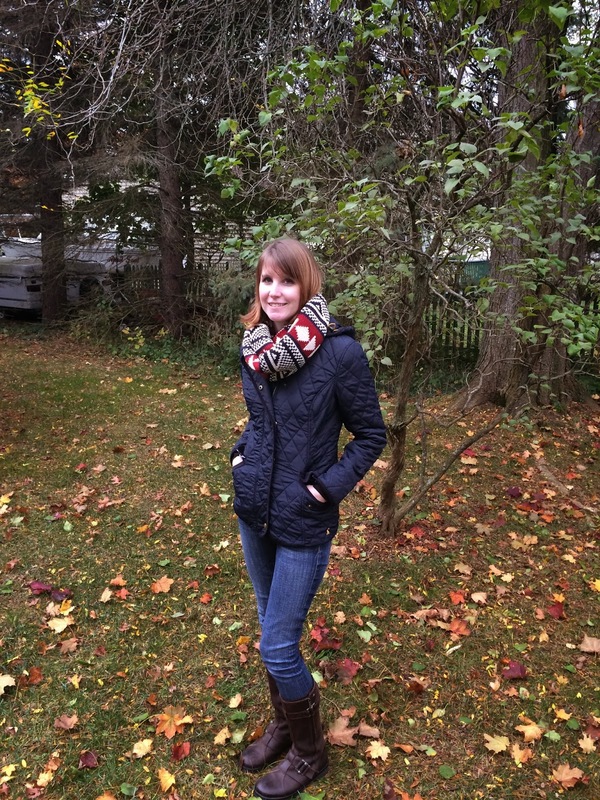 Here is a picture of me wearing my Nordic infinity scarf that I also ordered from the boutique. This is going to be very warm and cozy for the fall and winter months of NY. I'm sure to get lots of wear out of it! I'm also going to share a few more pictures of items from the October Golden Tote that I was able to buy off the girls from the Facebook Golden Tote Trading Group. Now I need to tell you a story, about a girl that is obsessively addicted to clothes in a way that may not be healthy. So, each month there are one or two items from Golden Tote that will sell out within the first few minutes the sale goes live. This month it was an item I desperately wanted. 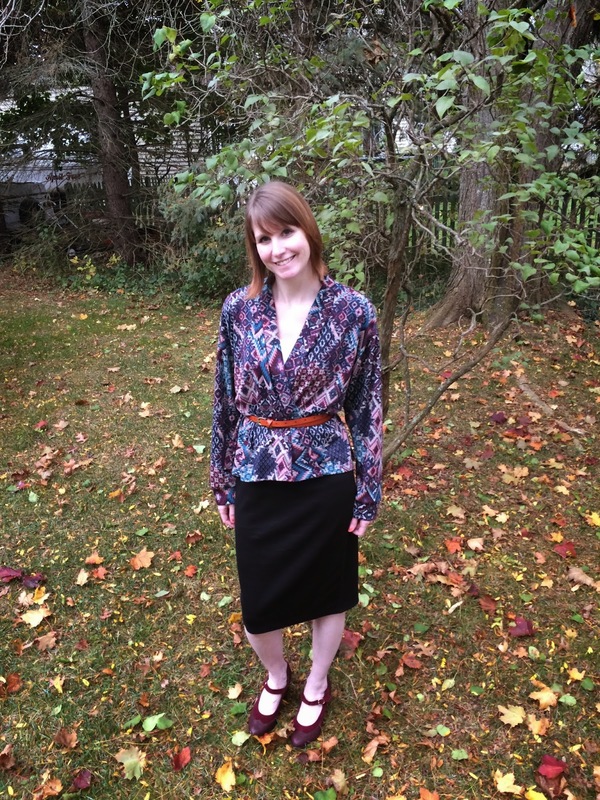 It was a blouse by Porridge with a fish print (that might sound odd, but I NEEDED this shirt). So, I went online to purchase as the sale launched and could not get my order to go through for some reason. The submit order button just kept returning an error that said try again later. And needless to say, the shirt sold out. I ended up purchasing only a small tote with the items I reviewed above. I couldn't stop thinking about the Porridge fish blouse. I would dream about it. I searched online to see if I could purchase it anywhere else and I also emailed the Porridge company to see if I could track one down, only to find out they were all completely sold out. So, then my only chance of getting one was to hope and pray that someone didn't like how the shirt fit or wanted to part with their blouse and would sell or trade it on the Facebook Golden Tote Trading Group. I was logging on all the time and watching every tote reveal to see if anyone was willing to part with it. Unfortunately, I was always a few minutes later than someone else to respond to the handful that were traded/sold online. Then one very kind person who had responded to one that was listed for sale, decided she would let me have it over her and agreed with the seller that the blouse would be mine! 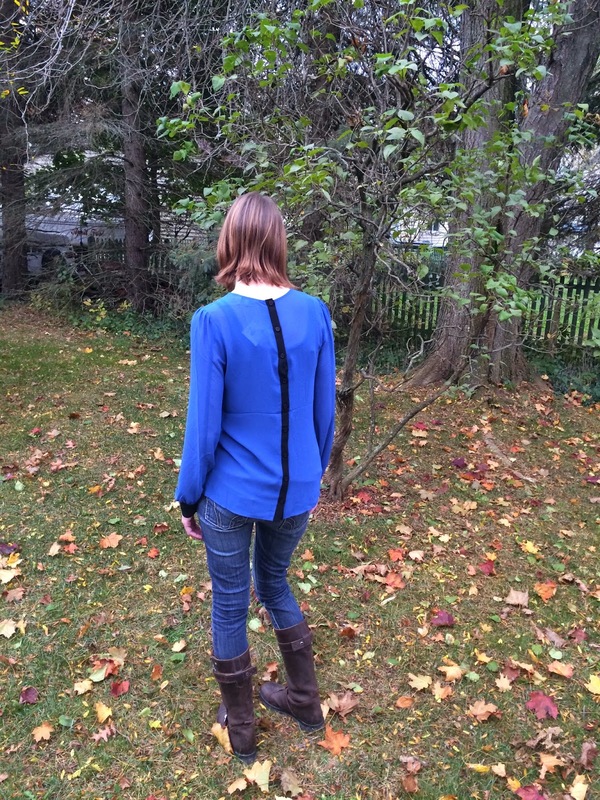 And though I paid retail price for the blouse, I was ecstatic that someone would let me have it over themselves. And I could not wait to get that shirt in my hands. And the whole time it was shipping I was hoping I ordered the right size and it would work on me. And the night before it was due to arrive, I had a dream that the seller accidentally shipped the wrong shirt and I was so sad, but that didn't happen. 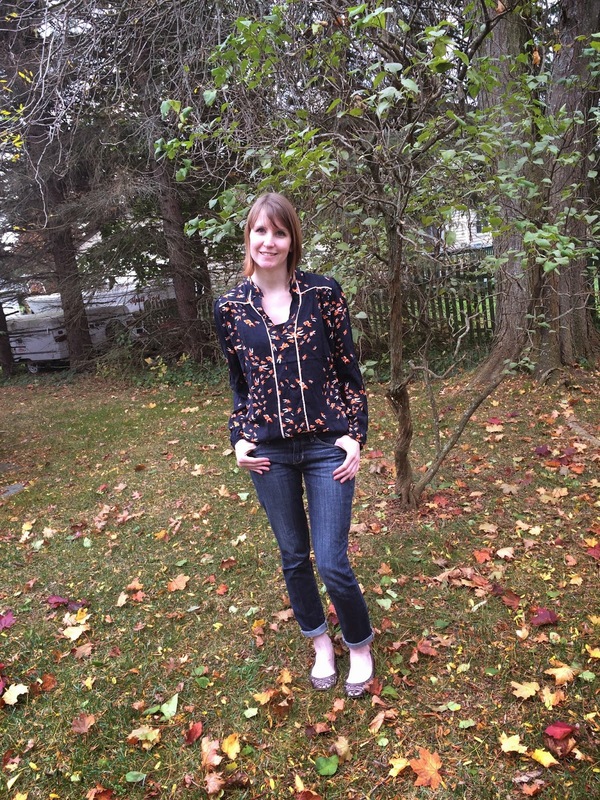 And now I'm happy to report I own the Porridge fish blouse and I love it so so so much! I wore it the day after I received it and out to dinner with friends already. And now I have learned my lesson that if there is ever a Golden Tote item that I will not be able to live without, I need to order it in the boutique before the sale launches. Here I am, happily wearing my shirt!!! And I also ordered this amazing Naked Zebra blouse from someone in the Golden Tote Trading Group that was a surprise item this month. There were quite a few for sale, because it ran small, so I was able to snag one. It's an amazing color of blue. And I love it!!! The buttons in the back are such a cute detail! Golden Tote hasn't released many spoilers for the November tote, though I believe it will launch Monday November 3rd at 9 am PST. I'm hoping we start seeing some of the items that will be offered soon. Golden Tote continues to amaze me with all the wonderful pieces they find. I wish I could order multiple $149 totes each month, but it's just not in my budget. Maybe some day!! !